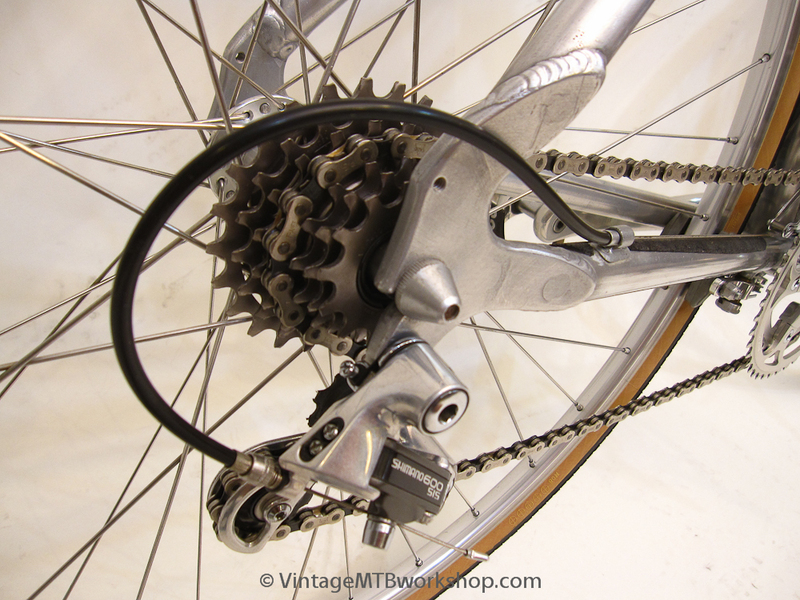 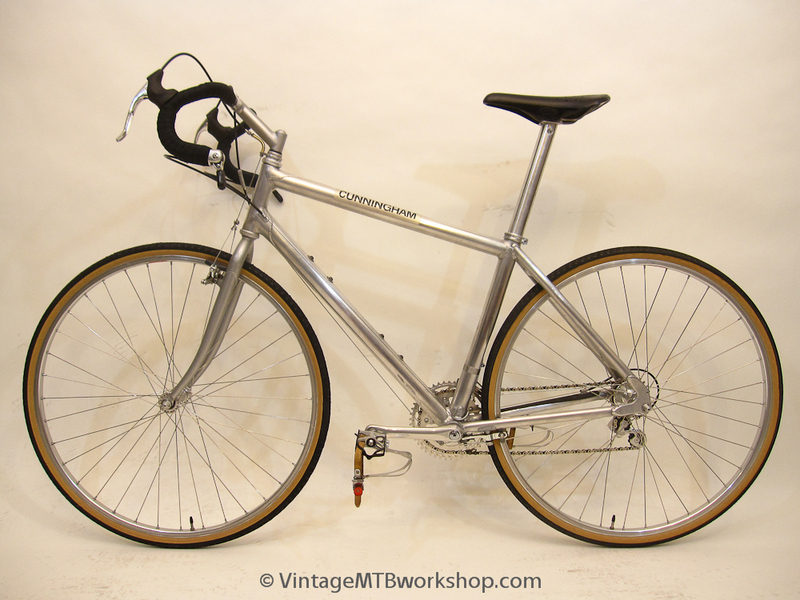 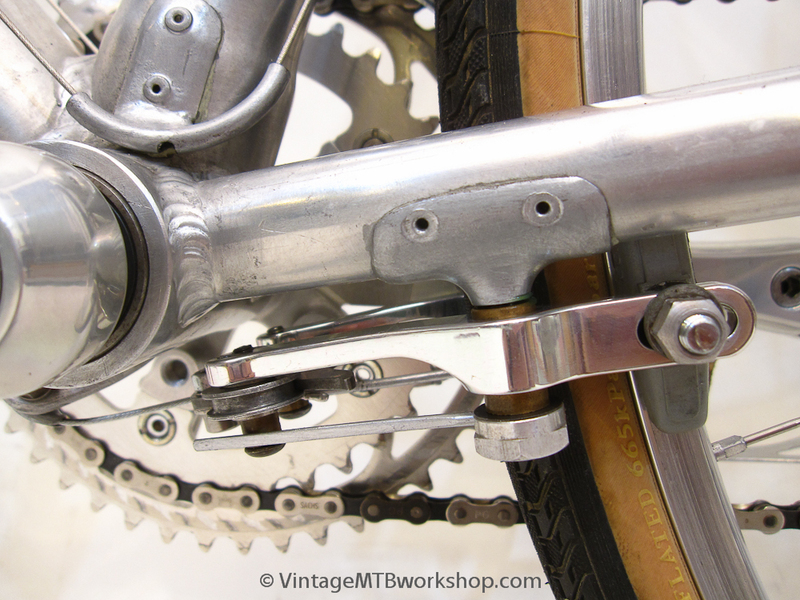 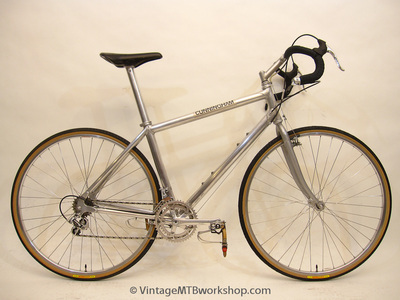 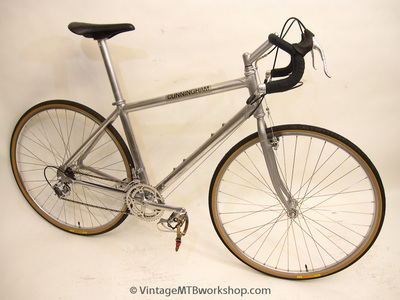 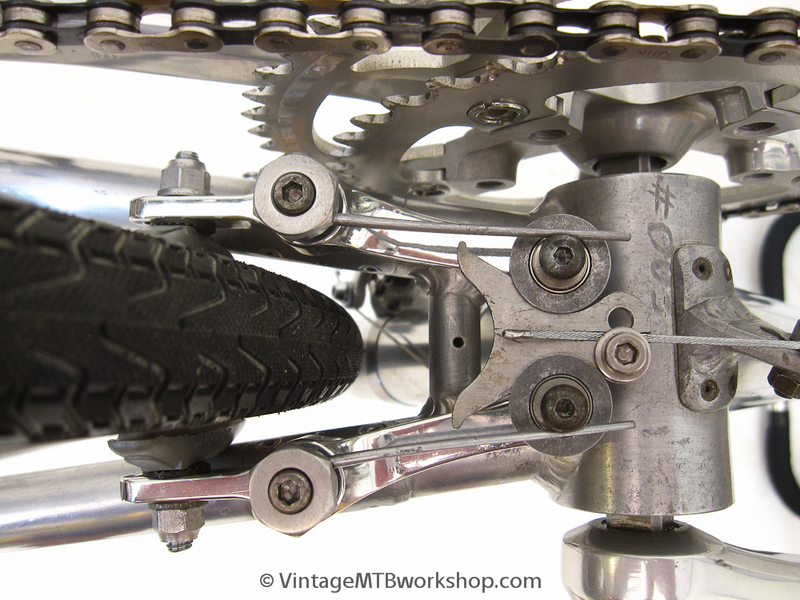 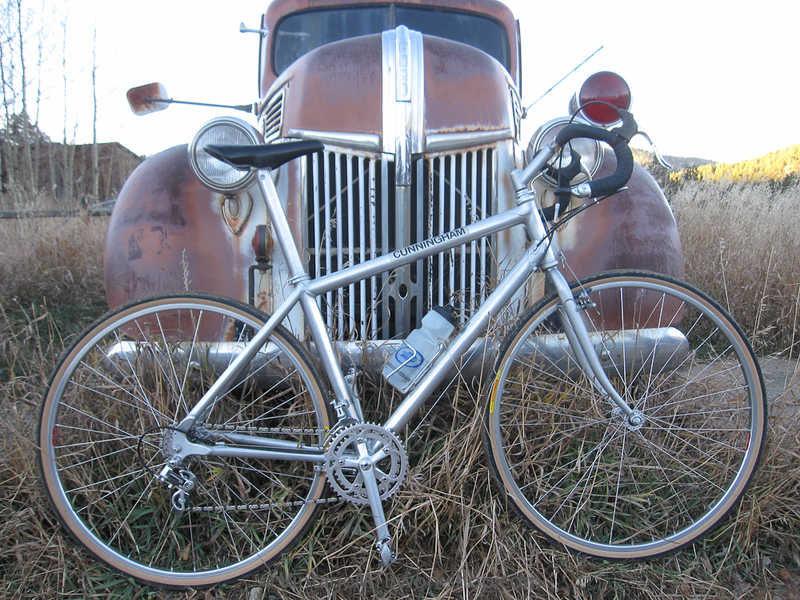 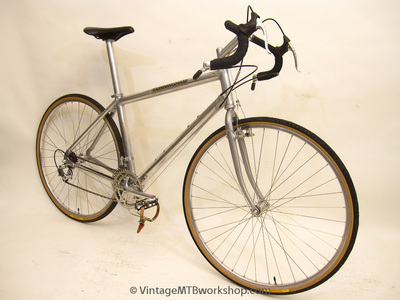 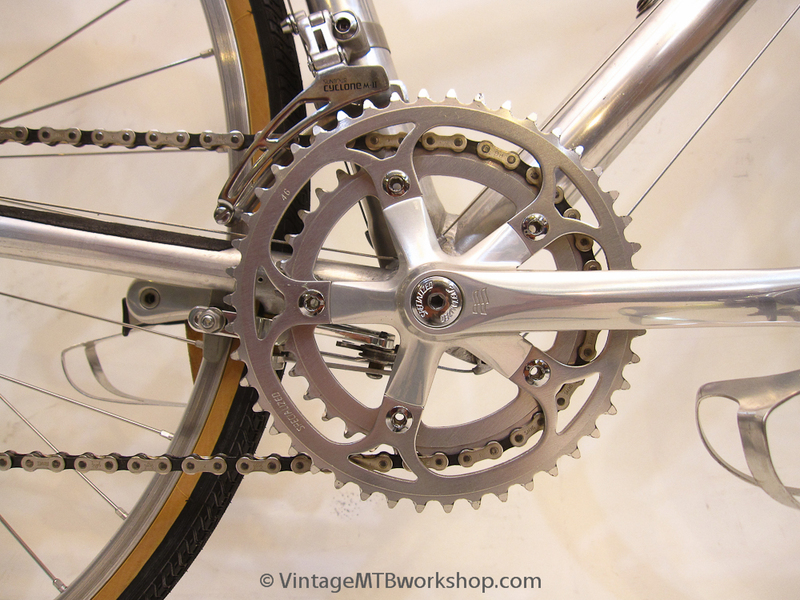 The Cunningham Expedition was unusual by the road bike standards of 1986, in part because it was more than just a road bike. 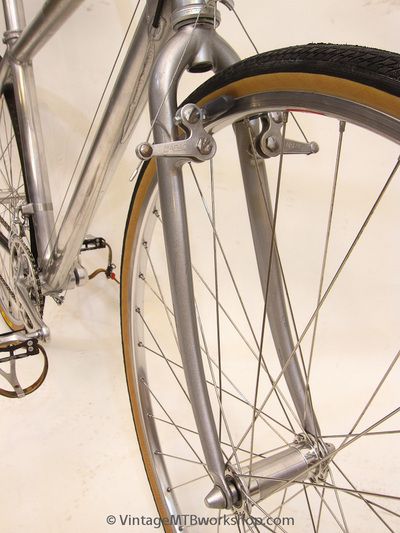 It was designed to comfortably accept tires as large as 35 mm, making it a "gravel grinder" well before the term was invented. 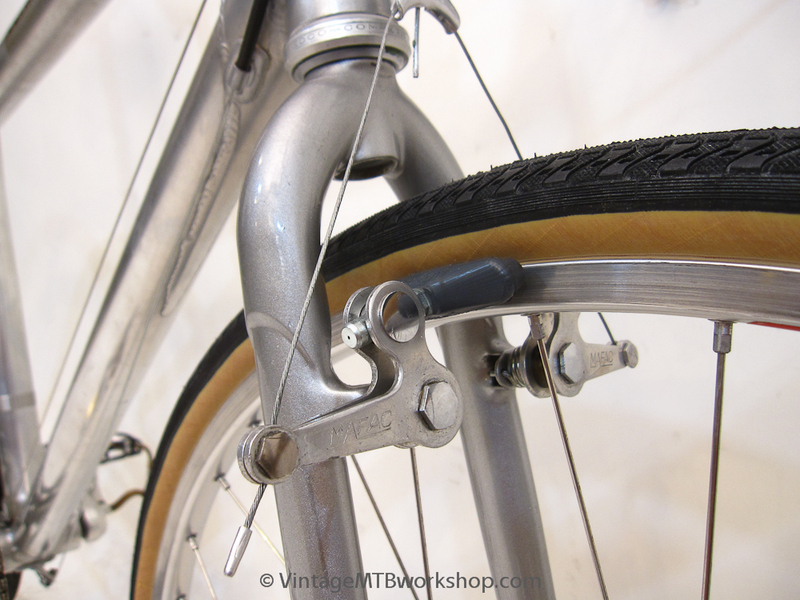 It preceded the introduction of the Bruce Gorden "Rock n' Road" tire by a couple of years. 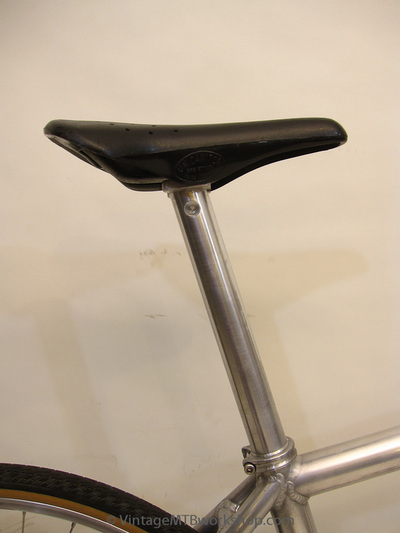 The bike used a massively over-sized seatpost to allow a radically sloping toptube, something now seen on bikes designed more for comfort and distance rather than racing. 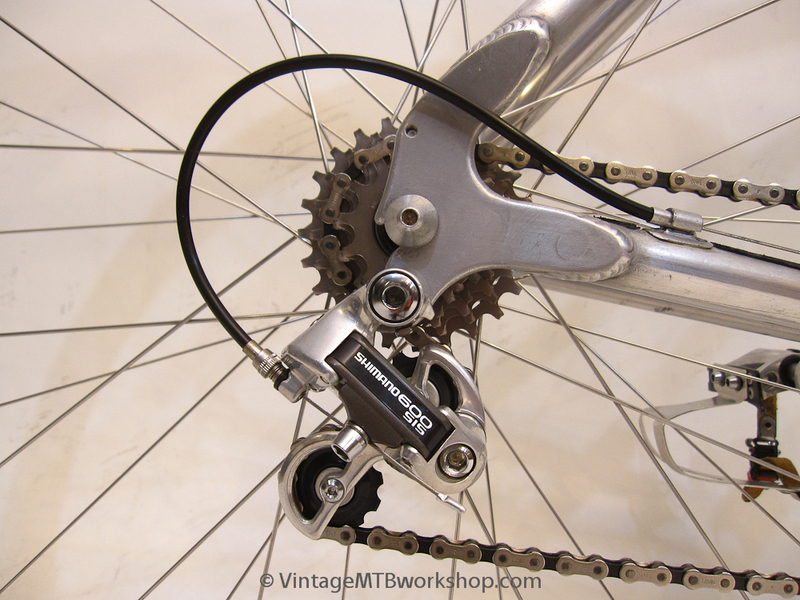 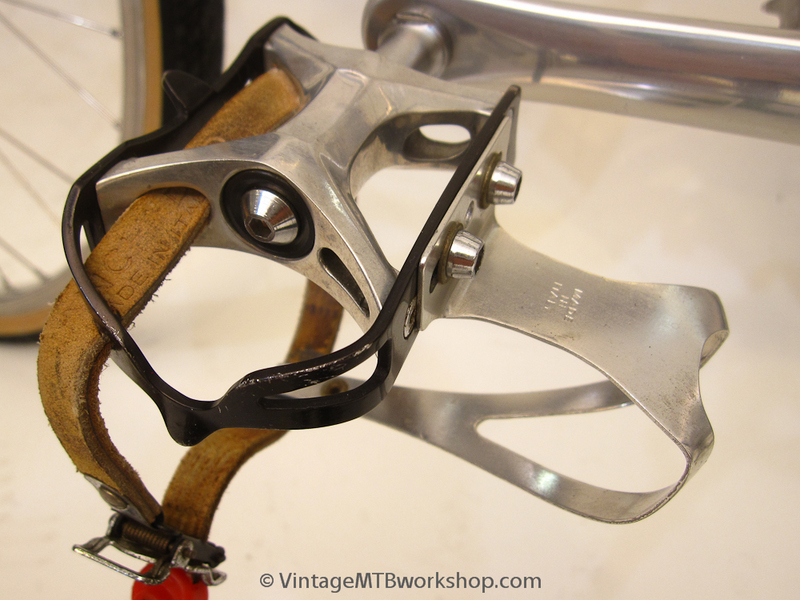 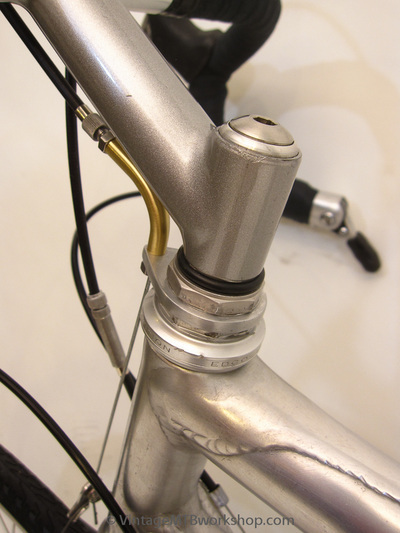 The bike mounted the rear brake under the chainstays in a manner now common on carbon fiber time trial bikes. 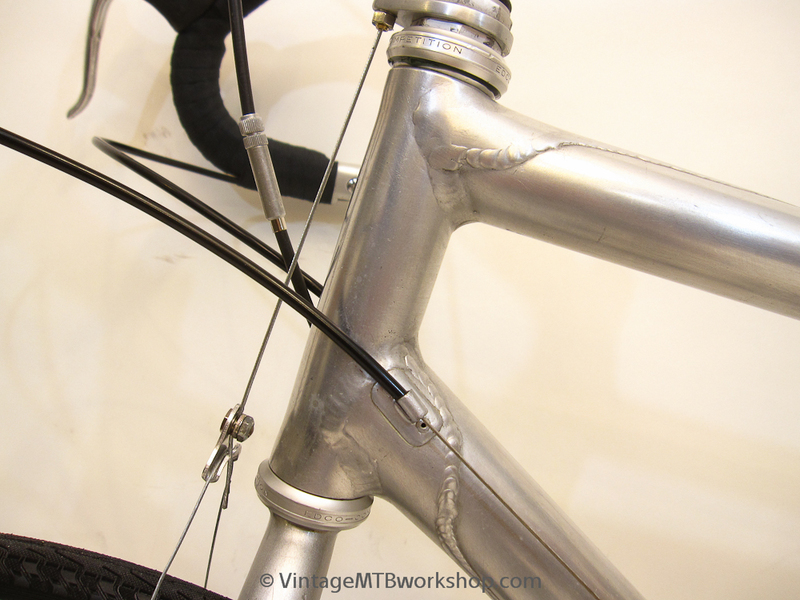 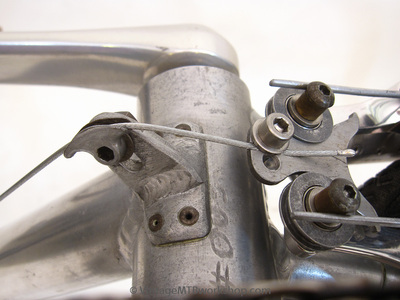 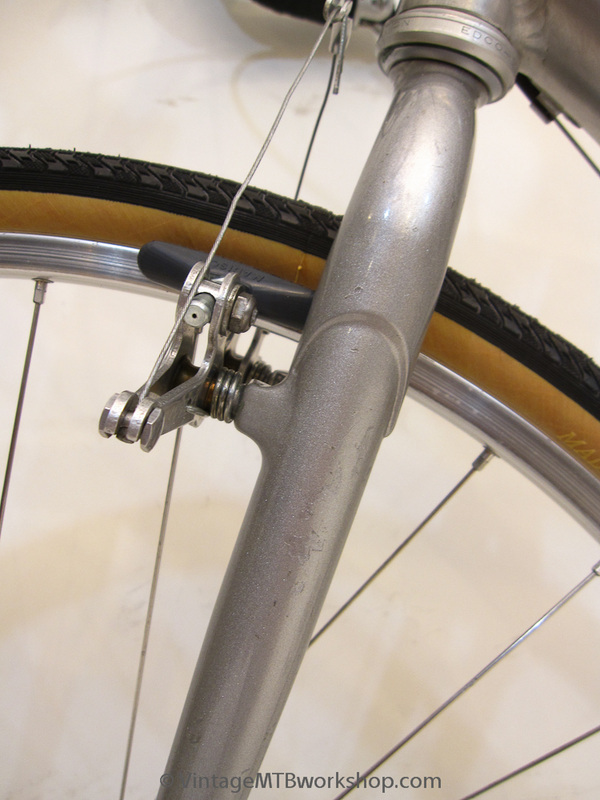 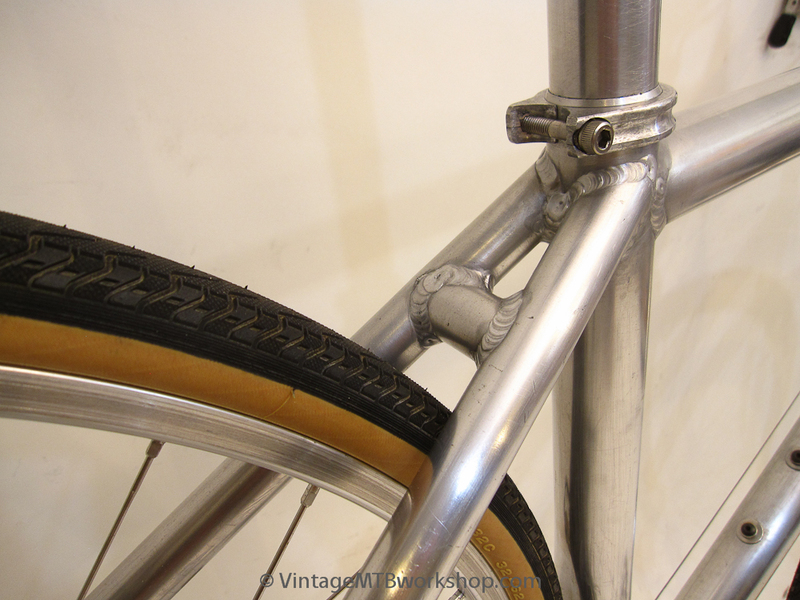 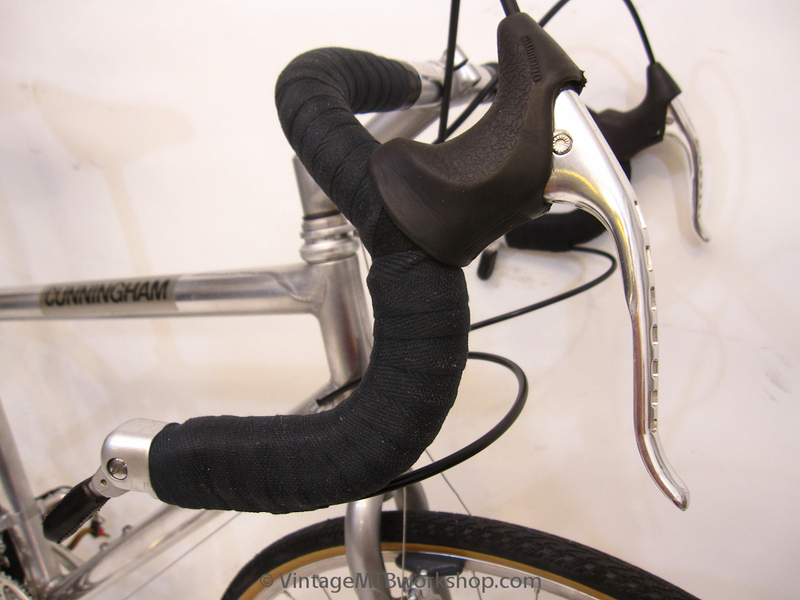 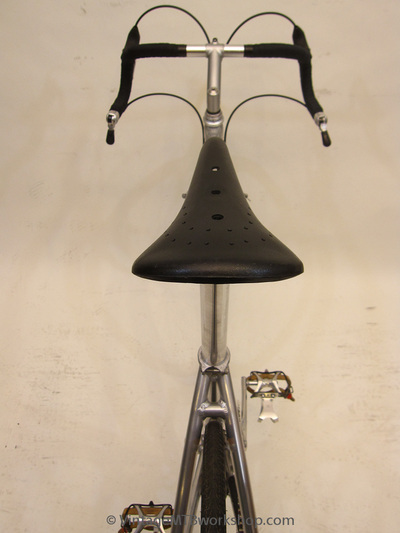 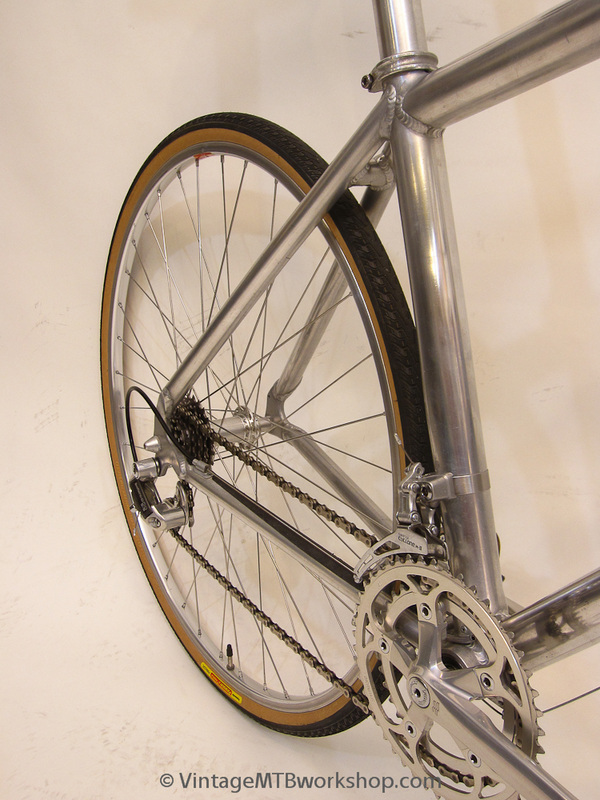 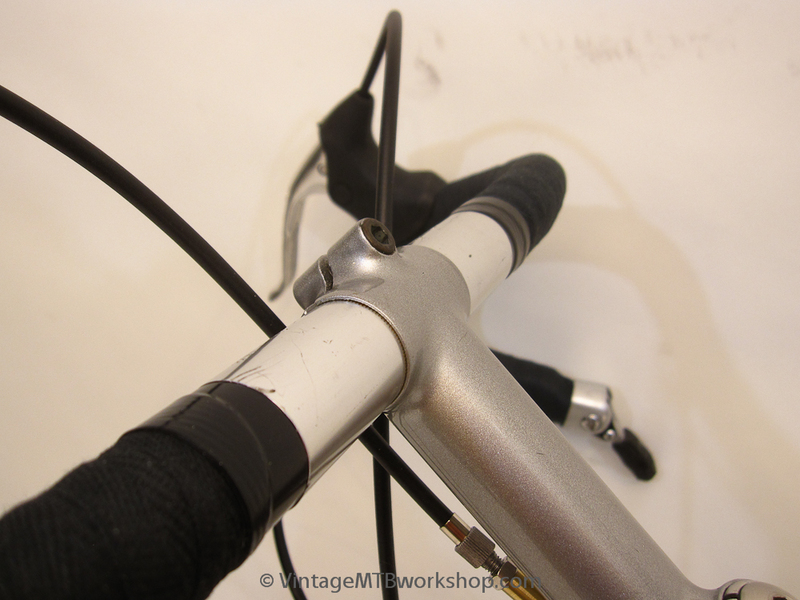 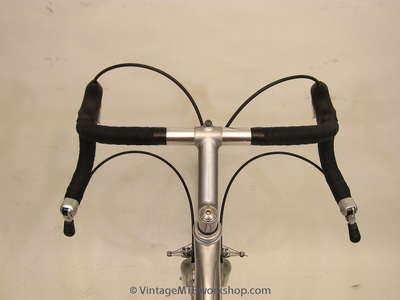 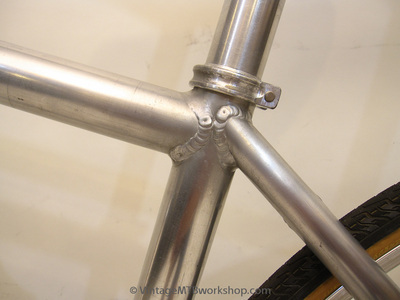 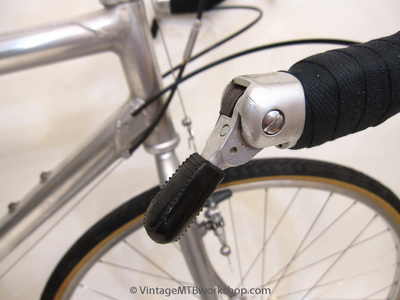 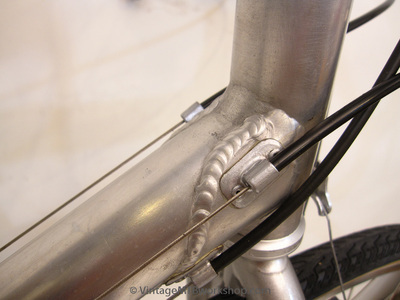 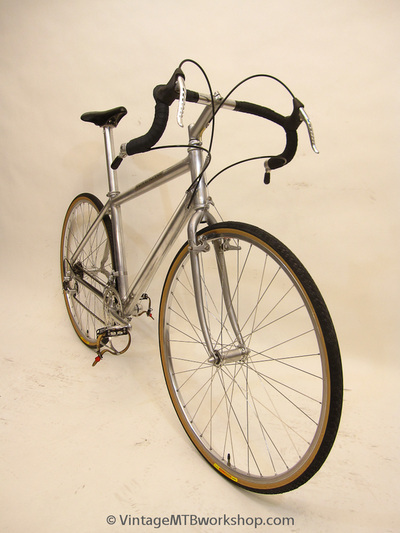 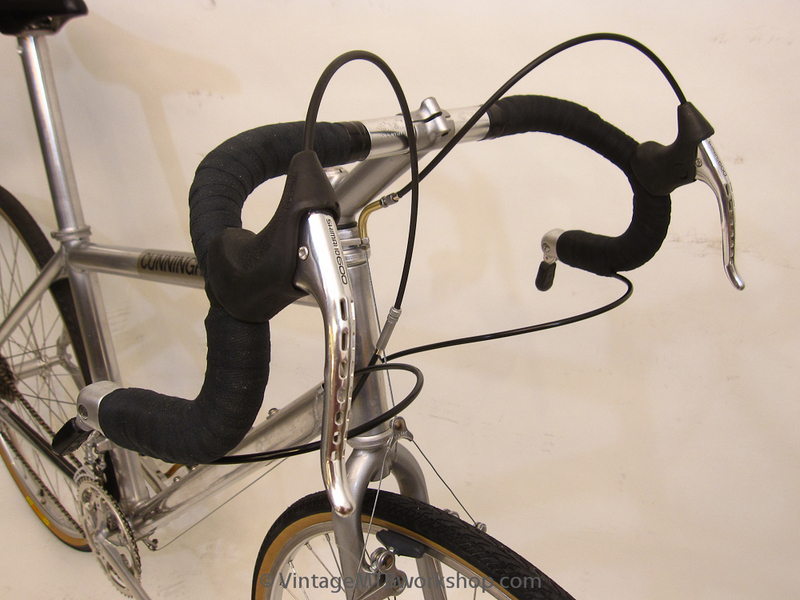 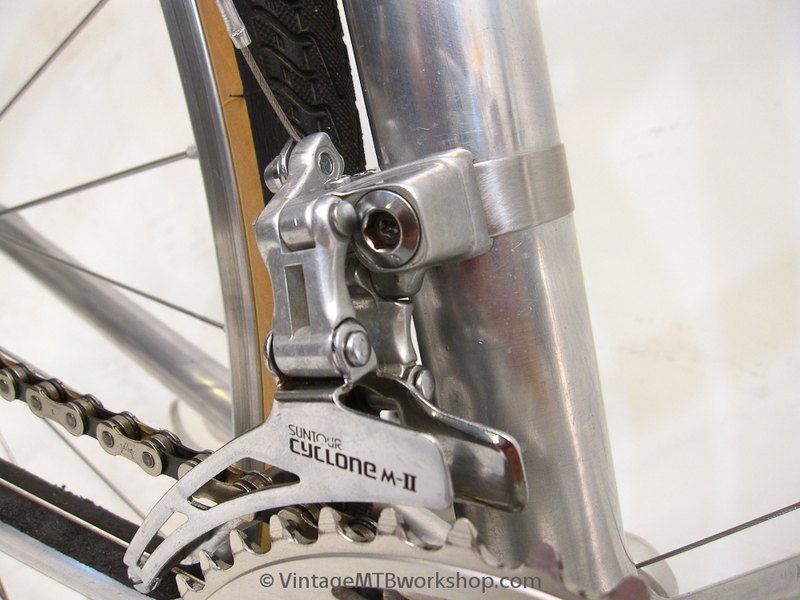 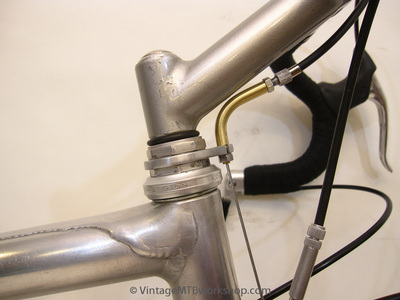 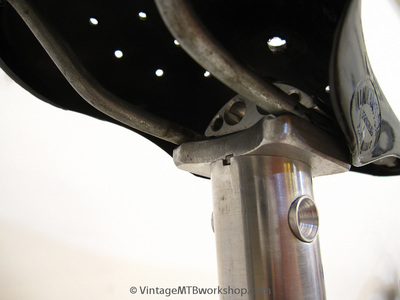 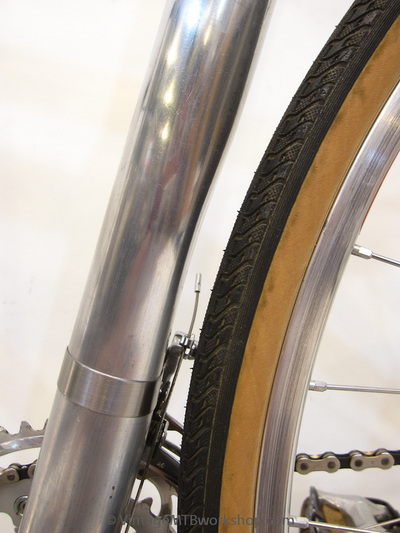 The back of the seattube was dimpled to allow adequate tire clearance while keeping the chainstays at 412 mm and typical of a racing road bike. 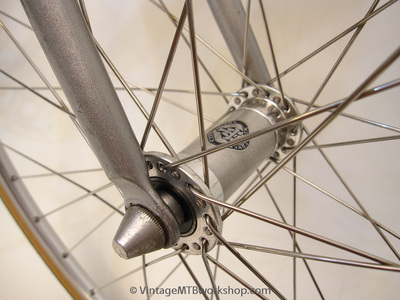 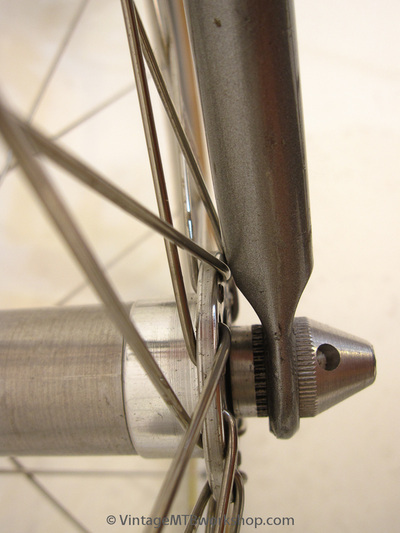 The rear hub spacing was 135 mm to make for a stronger wheel by reducing dish. 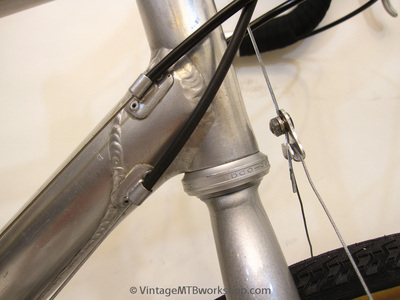 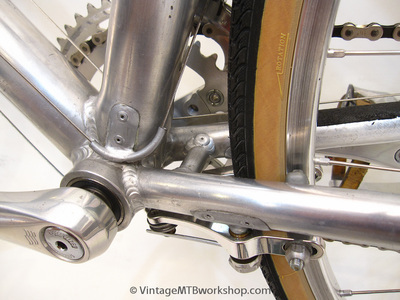 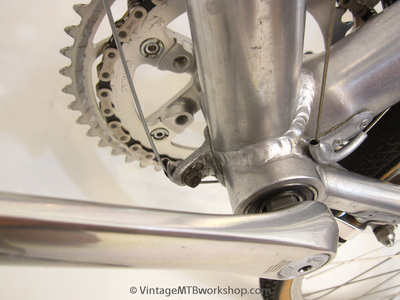 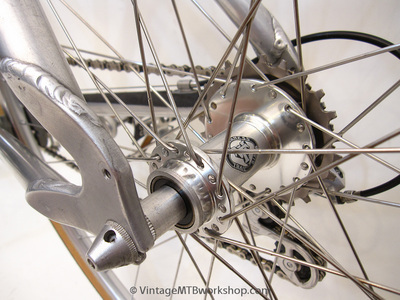 This spacing for a large diameter wheel didn't come into vogue until much later with the inception of the 29er mountain bike. The Expedition had its quirks too, with a rear rim that was 700c and a front rim that was 27 inches for improved handling. 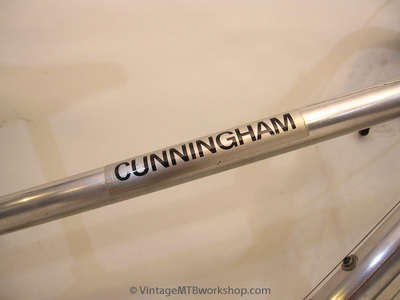 Road bike, cross bike, touring bike, inspiration for the 29er, or something that could do a little bit of everything? 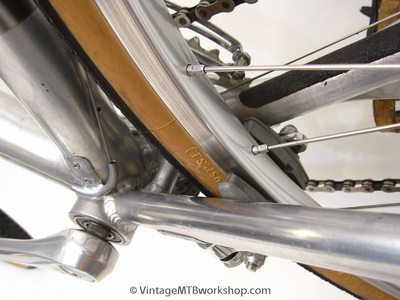 It's safe to say that this was a bike that was way, way ahead of it's time.